12 August 2009: America’s cities are fighting foreclosures, stalled development and budget shortfalls on a scale not seen in a generation. But innovation is taking root in the empty spaces left by economic retreat. A look at how tomorrow’s American cities will be leaner - and greener. Ray Nagin is not the only one quaking in city hall. Go to nearly any American city and you’ll see the red ink bleeding onto the pavement. On Smith Street, the epicenter of Brooklyn’s erstwhile brownstone boom, a note taped to the window of a hipster clothing store advertises a two-for-one sale on $98 “vintage-inspired” sweaters. In Fresno, California, skateboarders perfect ollies in the drained swimming pools of foreclosed homes. On the shore of Lake Michigan, an unmoving crane guards the inactive construction site of the Santiago Calatravadesigned Chicago Spire condominium tower. Once touted as a glamorous symbol of the Second City’s resurgence, the twisting, undulating skyscraper is now making humbler headlines. Now, planners like Lander must confront a rise in poverty and a decline in the public and private resources that had fueled cities’ resurgence. Gaping budget deficits, waves of foreclosures and stalled development are forcing governments to shelve ambitious plans, fire employees and cut services. Yet the economic retreat has potentially made room for innovation. The challenges of this recession may spell opportunity as cities learn to operate with less capital, manage neighborhoods overwhelmed by foreclosures and keep growing even as private developers retreat. Last year in Los Angeles, it cost $28 to spay your pet at a municipal facility. Now, it’s $40. As LA faces an $86 million deficit, fees have risen for everything from parking to pet neutering. Tight credit, uncertain income and shrinking savings have affected everyone; for city governments, they’ve led to fee increases, service reductions, layoffs and, in many cases, delays on public works projects. Not even San Francisco, which boasted a $126 million surplus in 2007, is immune: In December, Mayor Gavin Newsom proposed service cuts translating to hundreds of layoffs, the closure of a day-care center for seniors and the loss of $5.3 million in mental health services. In New York City, home to a record $4.66 billion surplus in 2007, city departments will trim spending by at least 12 per cent this year. But what are the “right changes”? In times of recession, when poverty and homelessness might lead to increased crime, should cities put more police on the streets, for example, or put the money into social service or economic development programs that fight crime at its socioeconomic root? Los Angeles’s police chief, William Bratton, has chosen to add 1,000 new officers. He argues that the measure will result in lower legal and prison bills as well as increased investment in the city. “The idea is… if you make it safe they will come,” Bratton told the Wall Street Journal in December. While other cities are likely to follow LA’s lead, experts say bulking up police departments is often only a temporary fix. “You often see a shifting of resources in the early part of a downturn because it is exactly in this period when things like crime are expected to rise, but eventually you tend to see cuts there if things don’t improve,” says Hoene. Others say there is no direct relationship between the economy and crime, and that money for more police may be better spent on health care or affordable housing for the newly unemployed. “Crime certainly won’t stop, but it won’t necessarily rise. At the same time, we know poverty will rise,” says Lander. Cleveland Mayor Frank Jackson seemed to side with Lander when, last fall, he postponed increasing the number of police officers on street patrol in order to focus on economic initiatives instead. “It’s not the most pressing fight right now,” spokeswoman Andrea Taylor told the “Cleveland Plain Dealer”. Cleveland learned its spending lessons the hard way. In 1978, the city earned the dubious distinction of being the first major American city to default on its debts since the Great Depression. With that bit of history in mind, Mayor Jackson began cutting the budgets of city departments right after the first foreclosures of 2006. His actions came not a moment too soon: By the time the recession first started rippling through other parts of the country, Cleveland was in the throes of a full-out foreclosure crisis. Thanks to Jackson’s early action, the city will only need to cut 3 per cent of its spending, and taxes will not increase. The city will freeze hiring in every department except public safety, and cut energy costs by 10 per cent. The decision to focus on cutting energy costs reflects a sea change in decision-making that might prove the silver lining in this crisis. “City governments,” Wray says, “are looking at sustainability initiatives as part of the core city mission in a way that a few years ago they weren’t.” By the time the recession hit in 2008, the green revolution was in full swing, with low-impact buildings, recycling initiatives and urban gardens all the rage. A growing handful of municipalities, including Seattle, Philadelphia and Baltimore, now boast city departments dedicated to “sustainable” development and operating practices. Even though Seattle Mayor Greg Nickels briefly considered cutting his city’s Office of Sustainability and the Environment, not one of these cities has yet axed its eco-office. While the still-ballooning economic crisis traces back to problems that originated in the soaring towers of New York and other big cities, its first casualties were low- and middle-income homeowners who mortgaged homes in far less glamorous parts of the nation. 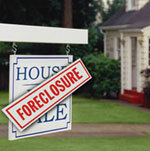 Cleveland, for example, has suffered roughly 10,000 foreclosures in the past two years. Many of these properties had been bought by absentee landlords planning to rent them for profit, says regional development czar Chris Warren. “Lenders and slumlords were in cahoots to prey on low income neighborhoods,” he says. Like canaries in a coalmine, Cleveland’s evicted residents signaled the meltdown to come. If Opportunity Homes succeeds, it could transform cities’ conceptions of neighborhood rehabilitation. This publicprivate collaboration represents a way for local governments to take a proactive role in real estate development without resorting to the controversial power of eminent domain or the heavy hand of a massive private developer. Even more critically, the program’s very existence points to an increasingly collaborative and fluid relationship between public and private affordable housing development. Cleveland isn’t the only city getting into the real estate game. In the foreclosure-ridden burgs of Southern California’s Orange County, local officials are considering a similar plan to buy bank-owned homes and sell them to affordable housing developers. New York City has accessed $24 million in federal financing to rehabilitate and resell 115 foreclosed homes, and other local governments, including those of Dallas, Fort Worth and Milwaukee, are working with chapters of Habitat for Humanity to buy up foreclosures for conversion into affordable homes. All of these programs have a precedent in New Orleans, where the city redevelopment agency is madly trying to sell Hurricane Katrinavacated lots to developers. Projects like these are only expected to gain traction as President Obama moves forward with an economic stimulus plan. “If we don’t do anything to stimulate investment in affordable housing, we will absolutely see less affordable housing, and I think there is an appreciation of that in Washington,” says Rafael Cestero, chief program officer for the affordable housing development and investment firm Enterprise Community Partners and a former commissioner of development at New York City’s Department of Housing Preservation. Obama’s economic elixir is expected, for the most part, to trickle into cities though public works projects such as roads, bridges and schools. But Obama has also spoken about rethinking the way the federal government assists cities with affordable housing. “We need to approach the old challenge of affordable housing with new energy, new ideas and a new, efficient style of leadership. We need to understand that the old ways of looking at our cities just won’t do,” Obama said during a December radio address following his appointment of Shaun Donovan, then New York City’s housing commissioner, to the cabinet. Donovan earned a national reputation crafting a system of development subsidies to generate mixed-income developments. His appointment heightens expectations that cities reeling from foreclosures and affordable housing shortages will receive greater concentrations of federal aid. Daniel Goldstein moved into his Pacific street condominium in the Prospect Heights section of Brooklyn at the peak of the real estate boom in 2003. Described in a “Wallpaper” magazine write-up as a “foremost example in the minimalist orientation of a design for the urban hip,” his sleek building signaled a shift in his neighborhood toward the more luxurious living of adjacent Park Slope. The graphic designer, now 39, once shared the building with 31 other condo owners. These days, Goldstein, his wife and their infant daughter are the only people left in the steel-accented building, which overlooks a railyard owned by the Metropolitan Transportation Authority. The majority of their neighbors left three years ago after a real estate developer bought them out in order to convert the railyard and its surroundings into Atlantic Yards, the largest private development in Brooklyn’s history. 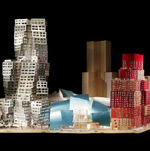 Architectural renderings of the project show a glass-topped, Frank Gehrydesigned basketball arena (for the NBA’s Nets)  last estimated to cost a mind-boggling $950 million  surrounded by 16 curvy skyscrapers. But at present, no one, not even the developer, knows when the arena will be built and life will return to the area. For the past three years, Goldstein has watched a cavalcade of bulldozers and trucks try to transform Brooklyn from Manhattan’s shorter, slower and frumpier stepchild into a peer of soaring skyscrapers and bustling streets. The state backed the Atlantic Yards project and was willing to use its power of eminent domain to give the developer control of surrounding private property, such as Goldstein’s condo. Local opposition, however, was fierce. As a plaintiff in a still-undecided federal lawsuit charging that the state failed to follow public procedure, Goldstein has achieved hero status among project opponents. He’s said for years that a downturn in the economy would lead to the project’s collapse. Developers are hitting similar walls nationwide. Last fall, the Louisiana Housing Finance Authority had to reclaim more than $18 million in tax credits from proposed housing projects that couldn’t close on loans or complete the financing needed to build. The recapture represents 1,248 stalled housing units, nearly 800 of which were to be constructed in the greater New Orleans metro area. In Cleveland, the developer of a major revitalization project in the Flats neighborhood on the bank of Cuyahoga River put the $522 million undertaking on hold until the market recovers. “Virtually all new development projects nationwide are stalled or shut down as a result of what’s happening in the financial industry,” Cleveland Flats East developer Scott Wolstein said in October. Ron Shiffman, a professor at the Pratt Graduate Center for Planning and the Environment and a former commissioner at the New York City Planning Commission, agrees. “There are empty lots where luxury condos were planned,” he says. “Now we see that this idea that we would always have an unending supply of the wealthy is wrong, and we see that we need to diversify the way we are building our cities.” His suggestion for the empty lots? Tree nurseries. Money may be running dry, but ideas surely aren’t. An expensive glass window is no crystal ball, but look through it into a vacant room and you may be able to read the future: Cities can’t depend on trophy towers, or what happens inside of them, for sustainable economic development. * This article by Ariella Cohen was originally published in the spring 2009 issue of Next American City magazine. It’s been said that the best way to predict the future is to invent it, and US mayors are intent on creating a future for their cities that is “green”. “Green” is the general term used to describe efforts to reduce waste and clean up the environment, and US mayors see the green movement as a new engine for economic growth and job creation. “We need to reposition our city as an industrial leader by attracting green technology and green jobs,” says Ed Pawlowski, mayor of Allentown, Pennsylvania. “Green equals green,” says Pocatello, Idaho mayor Roger Chase, linking the environmental moniker to the “greenback” or US dollar.